Apple Laptop Service and Support. All our services include free pickup and delivery. Tech Heads offers Apple laptop service and support. No matter what your warranty status is, Tech Heads can fix your Apple laptop device. Tech Heads is your Apple Service Provider for all things Mac and Apple including macOS, iPads, iPhones, MacBook, MacBook Air, MacBook Pro, iMac, iMac Pro, Mac Pro, and Mac mini. Tech Heads Apple computer repair service is the most comprehensive Apple computer service available to you today. Tech Heads checks the entire computer; this includes all software and hardware to find any problems so we can fix existing problems and alert you to anything that may need attention in the future. This service includes all of the following services in one convenient package. Having trouble just booting your computer? Does it run slowly or not at all? Tech Heads will fix any problem related to the operating system, and your computer will run like new! This service cleans your operating system by repairing hard drive file permissions. All operating system updates will also be installed along with any third-party software updates you desire. Tech Heads will diagnose and explain any problems your Apple may be experiencing with our diagnostic service. This service tests all hardware and software on your computer and can help foretell any hardware failures. After time, your computer will not work as fast or efficiently as it originally did. This can be caused by operating system errors which develop over time due to a number of reasons. Our service will clean your operating system by checking and removing any invalid registry entries and verify all digital file signatures. All operating system updates will also be installed along with any third-party software updates you desire. Yes, it’s true that Macintosh computers need their hard drives defragmented, and we have the specialized tools to perform this action. Your computer will run noticeably faster after a hard drive defragmentation. It is possible that your beautiful Apple computer could be a host of viruses which could infect other computers. All malware of any kind will be removed. If you use Windows on your Mac, remember that Windows on a Mac is still just as susceptible to viruses and malware as any other Windows computer! 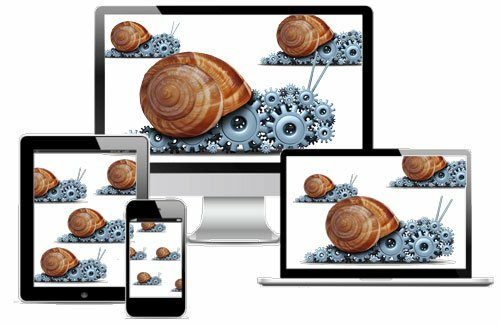 Is Your Mac Slow Like a Snail? If you are having trouble with your Apple or Macintosh device, you’ve come to the right place. Tech Heads knows what to do when nobody else can find an answer. We would love to share our knowledge with you and help you in anyway that we possibly can. Call today. If you need help, contacting Tech Heads is the right choice. Even Apple computers and other devices need to be cleaned up sometimes. Protect your investment and let us protect your data, as well. Tech Heads offers Apple support solutions for home and business. Bypass the hassle of a trip to the Keystone Apple Store with our expedited onsite services. 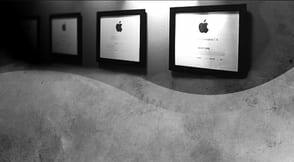 All Tech Heads services are Apple certified and include free pickup and delivery service to your destination of choice. We are here to serve you. We independently offer professional services to individuals, providers, and technology consulting firms that specialize in Apple and third-party solutions. As a business, Tech Heads has been a formal member of the Apple Consultants Network for years and our CEO was a former Apple Genius trained in Cupertino, a preferred member of the Apple Consultants Network, and is currently certified in Apple service and support technologies. 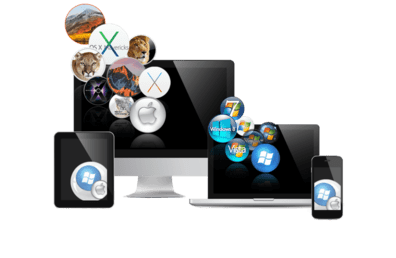 Tech Heads delivers on-site Apple service and support to home users and businesses of all sizes including Windows users in cross-platform environments. No job is too small. We welcome any questions you may have, so please give us a call today! We are experts at everything Apple. Please contact Tech Heads for Apple authorized support service pertaining to any of the following software and hardware devices listed below. If you needs help with anything hardware or software related Mac or Apple, Tech Heads has got you covered. We offer free pickup and delivery along with free remote assistance for 30 days pertaining to any Tech Heads service. Call us today! All our services include free pickup and delivery. No matter what your warranty status is, Tech Heads can fix your Apple device. Tech Heads is your Apple Authorized Service Provider for all things Mac and Apple including macOS, iPads, iPhones, MacBook, MacBook Air, MacBook Pro, iMac, iMac Pro, Mac Pro, and Mac mini. We offer free pickup and delivery so you can get on with your life. No more long hours spent at The Apple Store. We come to you! Tech Heads comes to your location free of charge. Look below for our specific Apple support services or simply call us at the phone number at the top of the page.